What Personal Information About Customers Does Open Realty UK Gather? The information we learn from customers helps us personalize and continually improve your shopping experience at Open Realty UK Here are the types of information we gather. We receive and store certain types of information whenever you interact with us. For example, like many Web sites, we use "cookies," and we obtain certain types of information when your Web browser accesses Open Realty UK Scroll to the bottom of this page to see examples of the information we receive. 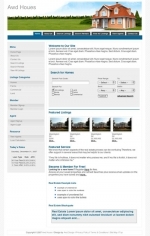 A number of companies offer utilities designed to help you visit Web sites anonymously. Although we will not be able to provide you with a personalized experience at Open Realty UK if we cannot recognize you, we want you to be aware that these tools exist. The "help" portion of the toolbar on most browsers will tell you how to prevent your browser from accepting new cookies, how to have the browser notify you when you receive a new cookie, or how to disable cookies altogether. However, cookies allow you to take full advantage of some of Open Realty UK coolest features, and we recommend that you leave them turned on. Does Open Realty UK Share the Information It Receives? Information about our customers is an important part of our business, and we are not in the business of selling it to others. We share customer information only with the subsidiaries Open Realty UK controls and as described below. 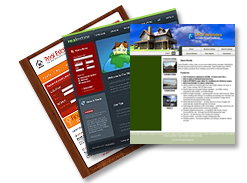 Sometimes we send offers to selected groups of Open Realty Templates customers on behalf of other businesses. When we do this, we do not give that business your name and address. If you do not want to receive such offers, please adjust your account newsletter preference as that is how we will send out our promotions. We release account and other personal information when we believe release is appropriate to comply with law; enforce or apply our Conditions and other agreements; or protect the rights, property, or safety of Open Realty UK, our users, or others. This includes exchanging information with other companies and organizations for fraud protection and credit risk reduction. We work to protect the security of your information during transmission by using PayPal as one of our payment processors, they process the credit cards, so Open Realty UK will NEVER see you credit card number. Paypal protects your privacy and information by using Secure Sockets Layer (SSL) software, which encrypts information you input. As discussed above, you can always choose not to provide information, even though it might be needed to make a purchase or to take advantage of such Open Realty UK features as Automatic login, and permanent shopping carts. You can add or update certain information on pages such as those listed in the "My Account" pages. When you update information, we usually keep a copy of the prior version for our records. Open Realty UK does not sell products for purchase by children. We sell childrens products for purchase by adults. If you are under 18, you may use Open Realty UK only with involvement of a parent or guardian. If you choose to visit Open Realty Templates, your visit and any dispute over privacy is subject to this Notice and our Conditions of Use, including limitations on damages, arbitration of disputes, and application of the law of the state of The United Kingdom If you have any concern about privacy at Open Realty Templates, please send us a thorough description to and we will try to resolve it. Our business changes constantly. This Notice and the Conditions will change also, and use of information that we gather now is subject to the Privacy Notice in effect at the time of use. We may e-mail periodic reminders of our notices and conditions, unless you have instructed us not to Open Realty Templates, but you should check our Web site frequently to see recent changes. Examples of the information we collect and analyze include the Internet protocol (IP) address used to connect your computer to the Internet; login; e-mail address; password; computer and connection information such as browser type and version, operating system, and platform; purchase history; the full Uniform Resource Locators (URL) to, through, and from our Web site, including date and time; cookie number; and products you viewed or searched for. We use a number of suppliers who may also set cookies on their websites’ on its behalf. The Our website/s does not control the dissemination of these cookies. You should check the third party websites for more information about these. Content Management System cookie ???? This cookie is set by our content management system on a small number of browsers, upon arrival to the USE site. It is not used by the USE for any purpose. This cookie is deleted when a user closes their browser. The supplier of our content management system (the software we use to update our website) is working to remove this cookie from their product. Log files allow us to record visitors’ use of the site. The Our website/s Web Team puts together log file information from all our visitors, which we use to make improvements to the layout of the site and to the information in it, based on the way that visitors move around it. Log files do not contain any personal information about you.